As the Minister of Finances, Pascal O Donoghue, gave his inaugural Budget speech on 10th October 2017, there were few surprises. However, Halloween 2018 looks to be a dismal affair with fruit and nuts once more becoming the norm with the introduction of the new sugar tax! 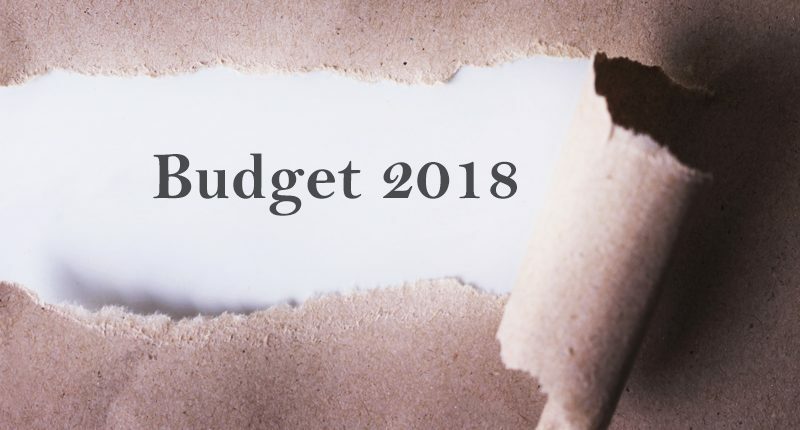 Our summary of the Budget 2018 will look at the key points of interest that most people were concerned about prior to the announcement and look at how these areas were affected by the Minister’s announcement. An increase in the rate of stamp duty on commercial property from 2% to 6% was announced and this came into effect at midnight last night. However, a stamp duty refund scheme will be introduced for commercial land purchased for the development of housing, provided the relevant development commences within 30 months of the land purchase. The National Minimum Wage will increase from €9.25 to €9.55 per hour in respect of hours worked on or after 1st January 2018. Prescription charges reduced by 50 cents for all medical card holders under 70 (cut from €2.50 to €2.00). Next April we will see a tax of either 20c or 30c per Litre. on sugar sweetened drinks. Our Corporation tax has been the subject of constant scrutiny from the European Commission and OECD, so it is welcomed news that the Minister has stated that Ireland’s 12.5% corporation tax rate on trading income will remain unchanged. The deduction for capital allowances for intangible assets, and any related interest expense, will be limited to 80% of the relevant income arising from the intangible asset in an accounting period. The scheme of accelerated capital allowances for energy efficient equipment is being extended to 31 December 2020. The Minister made clear in his speech that he was concerned of the dangers for the Irish economy arising from Brexit. It was decided to retain the 9% VAT rate for tourism. It was also acknowledged that SMEs would need to look beyond the UK and into other markets for trading purposes and would need support for this. A new loan scheme of up to €300 million has been made available at a competitive rate to SMEs to help them with their short-term working capital needs. This scheme is supported by the European Investment Bank Group, the European Commission and the Strategic Banking Corporation of Ireland. Funds are being allocated to fund the rollout of the Renewable Heat Incentive and to incentivise the uptake of Electric Vehicles. In addition to the VRT relief (maximum €5,000) and the SEAI grant of up to €5,000, a 0% rate of Benefit-In-Kind is being introduced in 2018 for a period of 1 year. The levy will increase from 3% in first year to 7% in the second and subsequent years. Spouses or Civil 24,800 max. 25,550 max. Peter Murphy is Managing Partner of Susan E Brown Chartered Accountants & Chartered Tax Consultants (www.sebca.ie ) and Managing Director of Cairde Accountancy & Taxation Solutions (www.icats.ie ). Accountancy and taxation advise has been his business for over 20 years. He is a provider of expert but affordable Accountancy and Payroll services from offices at 97 St. Stephens Green Dublin 2. Should anyone have further queries or require an understanding of another area of concern then please feel free to contact Peter directly. Advice for Recently Qualified Accountants: What is next? You’re Not a Median Performer, So Why Ask for a Median Salary?